Eurocom is shipping the world’s first 12 core / 24 thread Intel Xeon E5-2697 v2 based Panther 5SE Mobile Server with VMware vSphere Hypervisor 5.5 for enterprise level virtualization. The EUROCOM Panther 5SE significantly reduces the cost and time of deploying LAN based solutions, it also extends the usage of existing business applications to users wherever required. The Panther 5SE Mobile Server is perfect for organizations relocating operations and require a fast network setup to eliminate staff downtime and reduce the overhead associated with traditional Server Rooms. Technically there is no server room required to get your organization or workgroup up and running. Startup companies can have an entire network server, for 20-50 users, running in one box. We have customers who use our mobile servers as backup in case their production server becomes unavailable, they can then load their virtual machines on to the mobile server for production purposes while the main production server is recovered. With the addition of networking or fiber host bus adapters the Panther 5SE can be added to a cluster to allow for seamless transition from a primary server to the Panther 5SE. In a location where space is limited, you can run multiple Panther 5SE’s together avoiding the need for large, hotter and more power consuming traditional servers. The EUROCOM Panther 5SE provides fast deployment right out of the box, combined with easy relocation, easy virtualization and no need for a server room. The ability to hand carry the system makes the EUROCOM Panther 5SE an extremely easy system to relocate while providing server and virtualization capabilities. The EUROCOM Panther 5SE is an all in one system with a built in keyboard, display, touchpad and uninterruptible power supply that results in a compact, easily mobile server solution. It is designed for world wide deployment and easy network set up. It is easy to transport, move around and relocate as it can fit into a single carrying bag because of its all in one, compact design. The Panther 5SE is designed to support large amounts of high capacity, redundant storage options for server class environments. Solid State, Hybrid, or Enterprise level drives with RAID capability are supported. With support for up to four internal 1.5 terabyte storage drives, the Panther is able to offer 6TB of internal storage. RAID 0,1,5 and 10 capability gives users the ultimate in performance and redundancy. The Panther 5SE comes with an Intel® 82579V Gigabit Ethernet port on-board, while additional LAN ports (single, dual, Quad or Fiber) can also be added via internal ExpressCard slot or via external MagmaExpress Expansion Box. Customers can add additional LAN capabilities by deploying ExpressCard based Ethernet LAN adapters, including single dual or fiber. Equipped with a built in uninterruptible power supply (UPS) in the form of a 78.44Wh lithium-ion swappable battery pack, which offers upwards of an hour or backup power in case of electricity failure, which allows for safe and secure shutdown after power loss. An external 300W AC Adapter / power supply reduces internal heat generated inside the system and it also creates a smaller, lighter chassis that requires less ambient cooling than traditional servers. The EUROCOM Panther 5SE Mobile Server is equipped with a Trusted Platform Module 1.2 (TPM), finger print reader and Kensington lock port to keep crucial data and intellectual property secure. 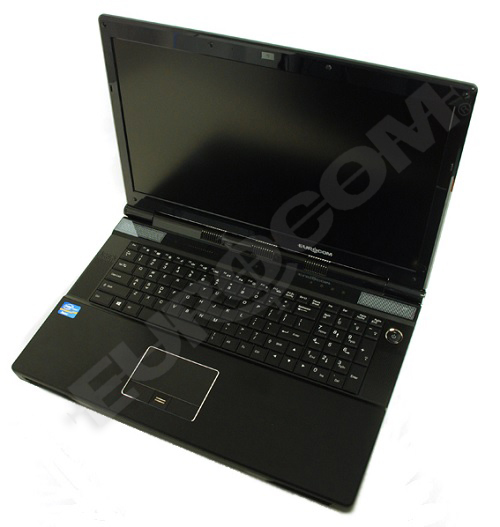 The EUROCOM Panther 5SE is also designed to be easily carried around so there is no need to courier the important information contained on the storage drives.